Burn your competition with the Fire race edition series of brushless outrunner motors from DYS. DYS has a great reputation with RC drone racing equipment, using quality components and specific designs. The Fire range of race edition motors from DYS are a powerful, efficient and have been manufactured using the latest technology and techniques. From the Japanese bearings, 0.1mm laminations, N54 magnets, lightweight machined aluminum motor body complete with a hollow 5mm prop shaft. 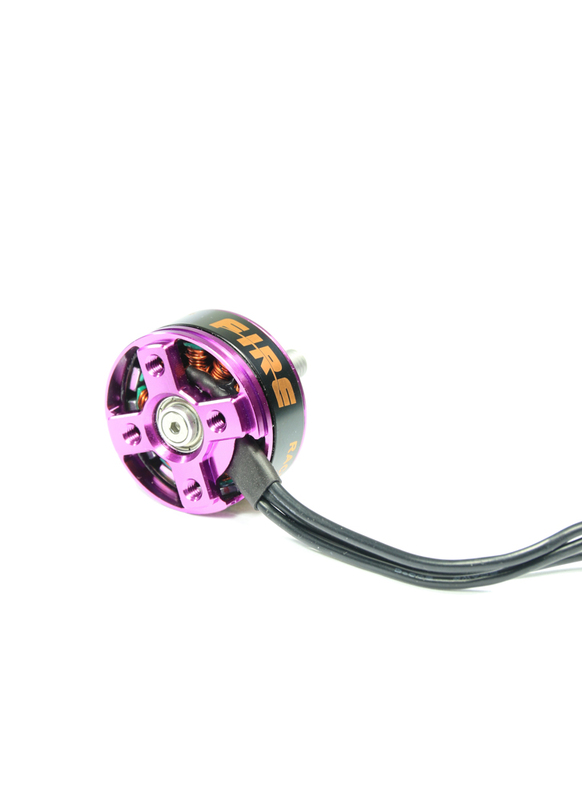 Set your track on ablaze and scorch new track times with the DYS Fire race edition motors. Note these motors are only available in CW, because they use locking nuts you don't need a CW & CCW pair.